If you like the idea of the Festool Track Saw, but it just doesn't have a large enough cutting capacity for you, the Festool Universal Sword Saw might be the tool for you. 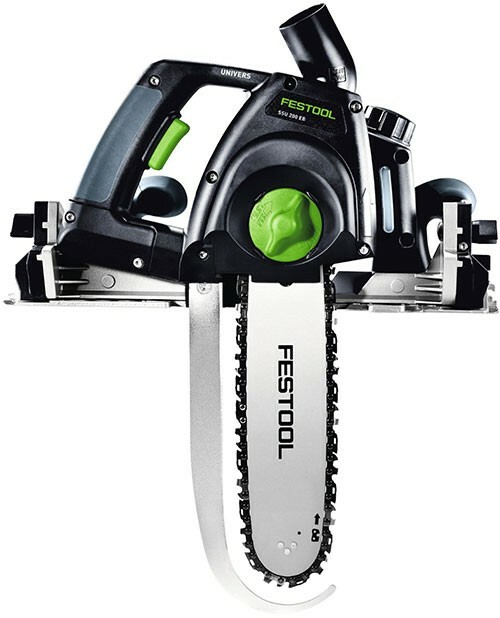 Available in Europe, the Festool Sword is fancy track-chainsaw that has a total cutting capacity of 7-7/8-inch (200mm). Track saws are great because they allow users to quickly and accurately cut straight lines, so why not apply the usefulness of tracks to other trades? 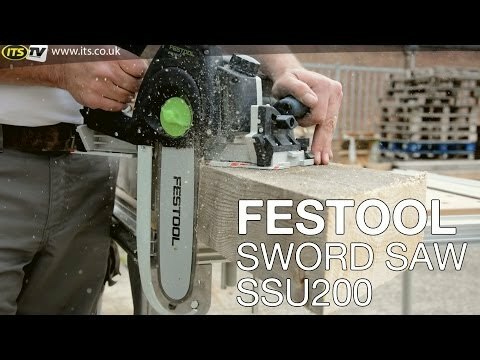 The Festool Sword would probably be most commonly used to cut large timber like rafters or beams, but it can also be used to cut other items like wooden fiberboard, or polystyrene. At almost £800 (around $1300), the Sword can do more than just cut straight lines. For more advanced timber joints, the Sword Saw has a bevel feature that tilts up to 60-degrees; which means the saw can also do compound miters. Like many Festool products it is equipped with a dust collection port, that when hooked up to a dust collector can help keep you work area clean. Of course, if the Festool Sword Saw is out of your price range, you could try the much cheaper Bosch 10-inch jigsaw blades.